Head edge ski boots. Condition is Used. Size 10 UK/Mondo 28.5. Hace been great for me over the last few years. Dispatched by Myhermes. Head edge 10.2 ski boots. size 29-29.5 which is roughly uk 10.5 - 11. Condition is Used but will be good for a couple of seasons of use before they need servicing again. Bindings are in excellent condition and set for a 26.5 boot. Otherwise it will be double wrapped in bubble wrap and sent in a cardboard box. Ski Boots Head Cube 70 Size 28.5 10.5UK. Condition is Used. Dispatched with Royal Mail 2nd Class. Bought these for my dad who wore them for two short days on holiday before deciding skiing wasn't for him! They've got exceptional padding and have a rear-entry system which makes them much easier to put on. They have an auto-walk mode also. Low flex made for comfortable recreational skiing. They'll come with the original box. They'll fit a UK 10 comfortably and slightly tight on a UK 11. Mondo 28.5. Head C120 Carving Skis 156cm With Tyrolia Sympro Bindings In Good Used Condition. These are the famous C120 Carving Skis. Cracking skis for a teenager or a small adult. Superb speed and control in good used condition. A tune up and wax and they are ready to go. Collection from Woking in Surrey. Head Dream Thang 8 Ski Boots Women’s. Condition is Used. Size 26 / 26.5 Uk 6.5 / 7 Adjustable buckled and flex - see photos Also have skis and poles if interested Dispatched with Other Courier (3 to 5 days). Maloja - Ladies ski jacket - over the head type with half zip. Lift pass pocket on left arm. Side zip to make easier to put over the head. Junior ski boots mondo 250 / 255. Head Edge Anthracite Black Ski Boots. These boots have been worn once! My husband had the specially fitted heat soles but he just can't get used to them as he has a very high instep and has subsequently bought another pair!Cost £300. Head Edge XP Ski Boots Ladies. > Ladies ski boots. > All mountain use. Head Supershape skis 137cm Piste/Carving Skis with Head SLR 7.5 AC Bindings Suitable for a child of around 12-14 (dependent on height of course). Great skis bought new from Decathlon and used for two seasons - being sold only as they have been outgrown. A wax and they are ready to go. Collection from Woking in Surrey. Boots Skiing Women's Skiboot HEAD RAPTOR 80 RS W Turquoise season 2018/19. Condition is Used. Dispatched with Royal Mail 2nd Class. Original insoles supplied unused. Also throwing in a pair of Superfeet insoles so you can choose to use either. Sole wear is minimal and well within binding tolerance. If you have any questions please get in touch. Also see my other listings for more kit. 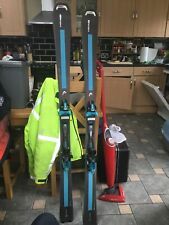 HEAD EDGE 7.7 BLUE SKI BOOTS SIZE 5. Skis. Head XRC 500 Skis. Skis. 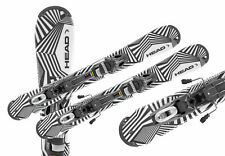 Head XRC 500 Skis.. Condition is Used. Well looked after and recently tuned. Size is 149 and sidecut is 114/64/98. Turn radius is 10.2. Check review attached. https://www.completeoutdoors.co.nz/head-xrc-500-156cm-ski-7210 Any queries please message me. Thanks. Colour:Charcoal Heather. 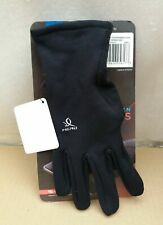 Unisex Thermal Ski Gloves from Head. Plastic Clip at Wrist to keep Gloves together when not in use. "HEAD" logo embroidered on each Glove. 2017-2018 HEAD Total Joy Women’s Skis 148cms. Condition is New. Dispatched with eBay delivery – Shutl 1 day. The Total Joy is a fairly new ski from Head. This ski is light! Head has incorporated new Graphene and KOROYD carbon fibers into the design of this ski which makes for an incredibly lightweight and powerful ski that aggressive skiers will love. This 84mm wide ski is fairly stiff, so we recommend it to more advanced lady skiers looking for a ski where groomers are first priority. There is ERA 3.0 All-Ride Rocker so performance off trail performance and turn initiation are enhanced ten-fold. Head Next Edge XP Mens Ski Boots Box Is Damaged Perfect for beginners, these Head Next Edge XP Mens Ski Boots offer lightweight comfort and easy entry design means easy on and off. The heat moldable liner ensures a customized fit with 4 micro-adjustable buckles to ensure a perfect fit. > Men's ski boots > Heat moldable liner > Micro adjustable buckles > Lightweight > Soft flex > Suitable for beginners > Head branding SBC 5-18 [Track Page Views With Auctiva's FREE Counter] (https://pages.ebay.com/seller-center/listing/listing-advanced-sellers/third-party-listing-tools.html#auctiva). Head “Surethang” Freeride Skis 154cm With Salomon Bindings. Used condition. With a tune up and wax they are good to go. Collection from Woking in Surrey. Carbon and Graphene are used to give strength without adding any weight. It's a firm favourite for athletes and pros. The Kore 117 is the freeride ski for a new generation: high tech?. It's the partner you choose for your heli-skiing exploits, or your forays in the powder. THESE SKI'S HAVE TYLORIA CENTRO BINDINGS. EACH PAIR OF SKI'S ARE FULLY SERVICED BEFORE DISPATCH. Head Edge 9HF W ski boots size 25.0. Sole 297mm. HEAD Glam 150 Snowboard with Bindings and Burton Boots UK size 9, and travel bag. Condition is Used. This has hardly been used, and only used in the snowdome a couple of times. Its branded HEAD, and the detail on the board states "effective edge 111.0cm, setback 2.5cm, med stance 45.5cm". The bindings are also branded HEAD, and comfortably fit the board and boots. The Boots Branded Burton and are Mens MOTO, UK size 9, and in very good condition. The tread underneath looks brand new. Collection only from Birmingham. UK Bidders Only. Sold as seen. Happy Bidding. Size 309mm head ski boots, barely used and in good condition. head ski boots. Condition is Used. Dispatched with Royal Mail 2nd Class recorded. 2016/17 Head Isuper shape titans skis. Ski carry bag. Especially if flying. I have for sale a pair of head skis 156cm Would probably benefit from a service and waxing. Collection only although happy to parcel up if you want to arrange a courier for collection. 170cm, im 5'11 and suited me fine. A fantastic all mountain carver ski. Owned from new and used as intermediate skier for approximately 6 ski holidays. Were serviced before last ski holiday. Poles included. Great condition. I also have head boots and ski bag for sale. Only selling as no longer used. Thanks for looking. Collection only in Cardiff. 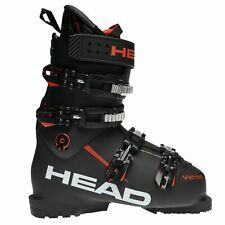 Head Ski Boots 27.5. These are used. This is reflected in the price. Boots are still great and have lots of life left in them. They are a beginner to intermediate boot with a flex of 90 and a last of 100-102mm so a really comfy boot that is going to ease someone into skiing. There are 3 clips and a heavy duty shin strap. Any questions just ask. Head designed the Next Edge to be easy to get into, so no more jumping around and banging your feet in the lodge. Size: UK 6 | EU 39.5 USA 7.5 MONDO 24. The item have the odd mark or just dust on which those not affect the quality or purpose of the product. A pair of skis without bindings. In as new condition. My knowledge is limited about this item. However I will endeavour to answer any questions. They are listed as used. However, they are still sealed in the original packaging. Albeit a little worn. From tip to tail the length is 63"
I used them with Alico ski-march boots (size 47) and they can go larger and smaller. The skis are in Fyvie, Aberdeenshire and I can also drop off between here and Aviemore or Braemar if we can arrange a date. BINDINGS TYROLIA SP10. The skis can be collected in person in Abertillery, NP13 (Wales). We do not have a showroom for the skis, but we can arrange a viewing for any specific models you might be interested in. 183CM HEAD Skis. BUT HAVE ALWAYS BEEN SERVICED AFTER EACH TRIP SO ARE IN GOOD CONDITION. HOWEVER THEY HAVE BEEN/WILL BE FULLY SERVICED. FOR THERE AGE AND PRICE ARE IN GREAT CONDITION. - BASES ARE VERY GOOD & READY TO GO. Head Edge J1 Kids Ski Boots 170 - 185 Approx Size 10 - 11 UK. 221mm.